Broker Nick Aalerud and Maryann Little, VP of Short Sale Mitigation in Massachusetts Welcome You! For Homeowners in the states of New Hampshire and Massachusetts Short Sale Mitigation, LLC a Massachusetts based loss mitigation company, provides the most optimized short sale negotiation service available to alleviate paperwork collection headaches at no charge to the seller. We streamline much of the paperwork, have superior communication on all files and a consistent track record of getting our files closed. This is why agents and attorneys come back to us again and again with referrals to negotiate. Are you working with Short Sale Mitigation, LLC? If not, you may compromise your sale. We have the strongest track record of third party negotiators in the state of Massachusetts! We teach at brokerages and can give CEU's for those who want, we've taught with Massachusetts Continuing Legal Education, and we give one on one assistance for agents who have never done a short sale. There are those negotiations firms that SOUND like us, but there is only ONE Short Sale Mitigation, LLC in Massachusetts. Make sure you ask for Nick and Maryann. At Short Sale Mitigation, LLC we are different. We work ALONG SIDE list agent, and are hired by homeowners. We provide legal representation for all homeowners struggling with a short sale and our primary focus is short sale negotiation. We don't sell property or market property. We mitigate short sales so our primary focus is YOU. We provide step by step direction throughout the process for Realtors and homeowners. We DON'T CHARGE a listing agent for our services. We have many agents that refer in listings to other agents, and we have many listings we get ourselves with our marketing programs that we assign out to agents. Our average time from submission to approval is 63 days (Non-FHA loans). So if you're not getting approvals in a short enough time, give us a call. Loss Mitigation in Massachusetts is difficult and you want to work with a firm that understands this and has the dedication to get your sale completed. You don't want to work with a firm, where you are just a number. We primarily service homeowners doing short sales in Massachusetts, New Hampshire and are currently entering the Maine market, however can negotiate anywhere in the United States as long as we comply with local laws. What makes us different??? We can CLOSE YOUR Massachusetts SHORT SALE. How many firms have you worked with who have never pulled title up front to only find that you can't close due to an execution, or undischarged mortgage? That won't happen with us. We work with the listing agent on the valuation of the sale so you are in the best possible situation to have the buyer's offer accepted. We have been around since 2009, and have negotiated HUNDREDS of short payoff, and usually know what the lender wants UP FRONT. We research who the investor of the loan is and get the compliant paperwork. We have 5 full time staff dedicated to working for you. We coordinate all the paperwork, pull title, have attorney reviewed and completed purchase contracts (where necessary), coordinate with title companies, your lender, negotiate 2nd and 3rd liens, along with other types of liens (mechanics, credit cards, execution) and we are #1 for communication. We work with excellent real estate attorneys and if necessary, bankruptcy attorneys who can assist you in every step of your financial recovery. You will know every step of your file, and what is going on at any moment with our automatic tracking. Any agent, homeowner or legal team will confirm our excellence in communication. We hope to show you why Short Sale Mitigation, LLC is a leader in Loss Mitigation Services in Massachusetts, New Hampshire and Maine for short sale negotiation. We are happy to speak to you about your home today!! CALL SHORT SALE MITIGATION, LLC TODAY AT 978-384-0032 and we will be happy to answer any questions you may have about the process, any government programs you may qualify for, and assistance through a tough time. We speak every month at new real estate brokerages. Short Sale Mitigation, LLC (AA Premier Properties, LLC) serves as a transaction facilitator which assists all parties within the short sale transaction. We are one of the few firms in our area that dedicate 100% of our time to negotiation. Our role is to coordinate and more importantly effectively communicate the entire short sale process from listing to close. Our clients include homeowners, title companies, attorneys, Realtors/Agents, and loan officers. Our goal is not just to negotiate your short sale, but to arm clients with knowledge throughout the entire sale. We educate, negotiate, and mitigate complex transactions with the ability to anticipate many outcomes. We have negotiated hundreds of millions of dollars in default property and underwater mortgages. Our goal is to bridge the gap between all parties, whose interests in the transaction may be opposing and yet we work to streamline a complex and time consuming process. We intend to yield the most favorable terms for all parties in the most effective and efficient way possible. Because of our full time dedication, our expertise sets us apart from many other firms and is an asset from which all participants benefit in bringing the short sale to close in the most efficient manner possible. Did you know any transfer of REAL PROPERTY in Massachusetts requires legal representation??? At Short Sale Mitigation, LLC in Massachusetts your Loss Mitigation transaction is overseen by a seasoned law firm. They know the ins, outs and pitfalls of default property negotiation in Massachusetts, and will develop a successful short sale contract for you, pull and research title and work with you throughout the sale to ensure a smooth short sale closing. It's important you have legal representation throughout the process of your Massachusetts short sale. 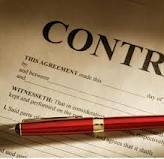 From the moment your property goes under contract, if you do not already have legal representation, we will provide it for you. We work with some of the best attorneys in New England who understand the unique nature of a short sale and will work with you on interpreting approvals, clearing title, tweaking purchase contract, and so much more. Sellers shouldn't have to worry about the added costs for an attorney and 90% of the sales we complete the legal fees are covered out of the proceeds of the sale, so as not to keep an already financially strapped homeowner further in debt. Create a free account and submit your property -- we will immediately send you our FREE Ebooklet on the 7 ways to Avoid Foreclosure and learn more about your property. We can assist you in figuring out the best strategy for getting your real estate transactions closed!